Waste Compactors for large scale waste disposal are split in to two categories; Static and Portable. However, size, ram force and loading apertures can all vary greatly, so please contact us for a site survey so we can ascertain which machine would be most suitable for your operation. 2. The ram within the machine travels forward, compacting waste into the container, then returns ready for more waste to be fed in. 4. 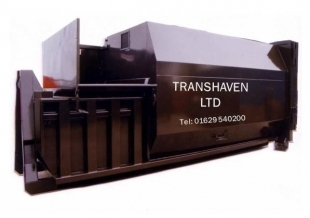 The skip or rolonof vehicle will uncouple the container and take it to be emptied.